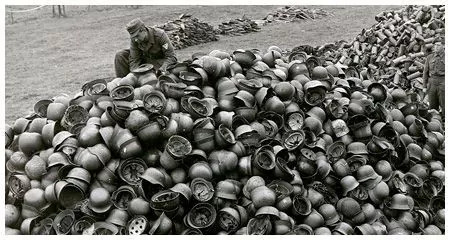 Welcome to our German Helmets section. 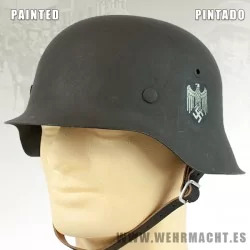 We have a selection of German Helmets, like M35, M40, M42, M38 luftwaffe, M16, Afrikakorps Salacot and other stuff. A great options added for choose you helmet impression, like colors, camouflaje and decals. 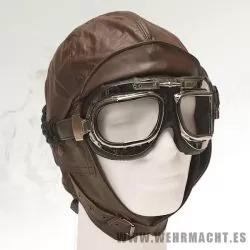 Aviator helmet in brown color. Made 100% in cowhide. Goggles not included. Helmets carrying strap, made of leather, has three hooks for the helmet and a hook that would be in an auxiliary ring. Hooks are metal, painted dark green. a buckle can adjust the strap to the helmet size. 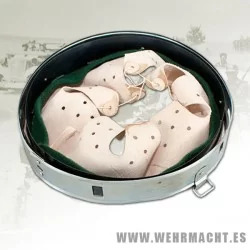 German helmets chinstrap for model M35, M40 and M42, Wehrmacht or Waffen SS. Replica made of leather. 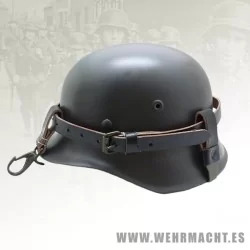 Liner for German helmet M35, M40 or M42, complete replica made of steel and leather exactly like the originals, including the maker, size and date stamp. 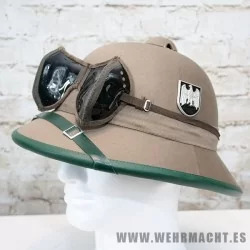 German WWI steel helmet M16 with leather linner with three individual pads sewn to a leather band. Each pad has a cloth pocket with ties sewn onto the back. The pocket is designed to accommodate gauze “pillow” which would allow for fit to the wearer’s head. The pillows could also be removed. Designed in 1915 by Friedrick Schwerd and professor August Bier. 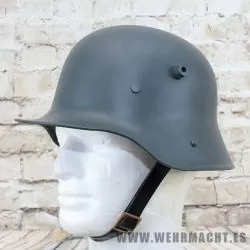 Replica of the M35 helmet made of steel, maintains the traditional German helmet line with the flange and the ventilation rivet. The helmet comes fully assembled with its Inlay and leather strap chin. Helmet come without decals, please select you decal and color helmet. 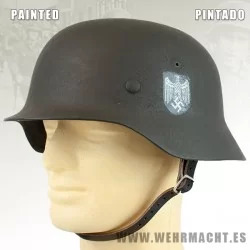 Replica of the M40 helmet made of steel, standardized in May 1940, maintains the traditional German helmet line with the flange, but the ventilation rivet is removed. The helmet comes fully assembled with its Inlay and leather strap chin. 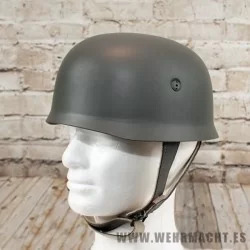 Helmet come without decals, please select you decal and color helmet. 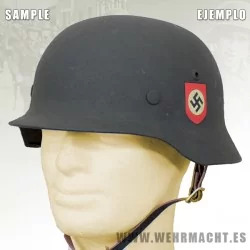 Replica of the M42 helmet made of steel, standardized in April 1942, maintains the traditional German helmet line but the flange of the previous models and the ventilation rivet are eliminated. The helmet comes fully assembled with its Inlay and leather strap chin. Helmet come without decals, please select you decal and color helmet. 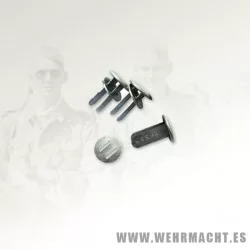 Replica of the Rivets for the German helmets M35/M40/M42, with manufacturer markings. Price of 3 pieces. 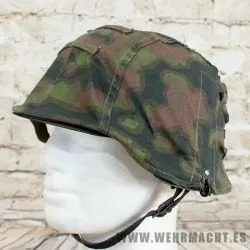 Reversible helmet cover in "Rauchtarnmuster" camo for the german helmet. This is will fit all sizes of helmets. Great reproduction tailored. Reversible from summer to autum camo. 100% cotton. This pattern are used from 1941 until least 1944 in helmets covers and smocks.